While we are a toy company, it’s far from all fun and games here! Below are behind-the-scenes photos and videos of what it took to make our very first Traveler Lammily doll. This is the 3D print which started it all! 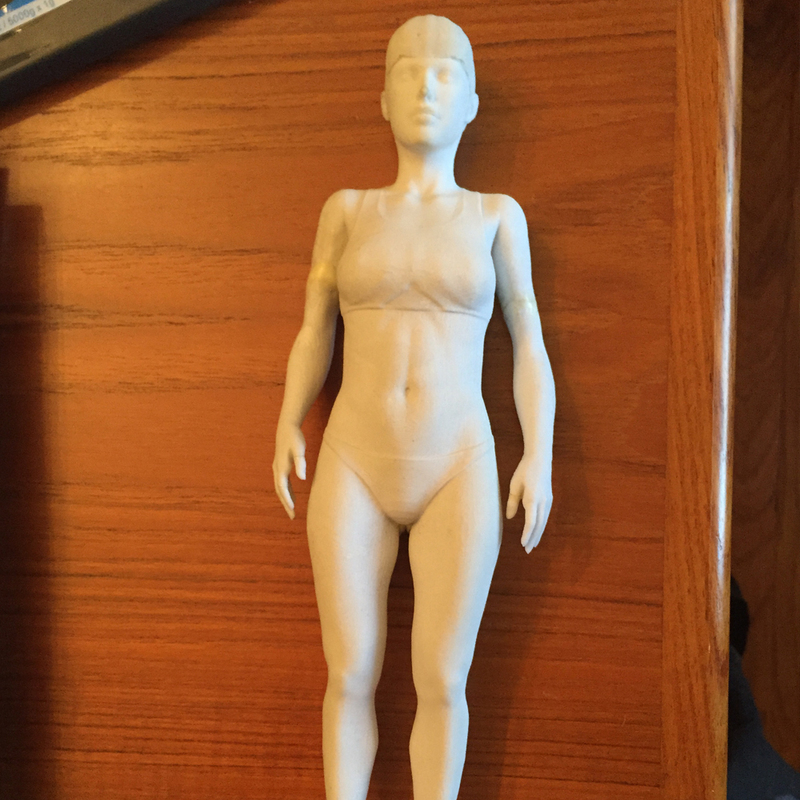 It was made using a 3D file designed by artist Marco Romero and printed at Pittsburgh 3D. I took pictures of this prototype and Photoshopped them look like a doll — the resulting images went viral, appearing on CNN, HuffingtonPost, BuzzFeed, and more in July 2013. 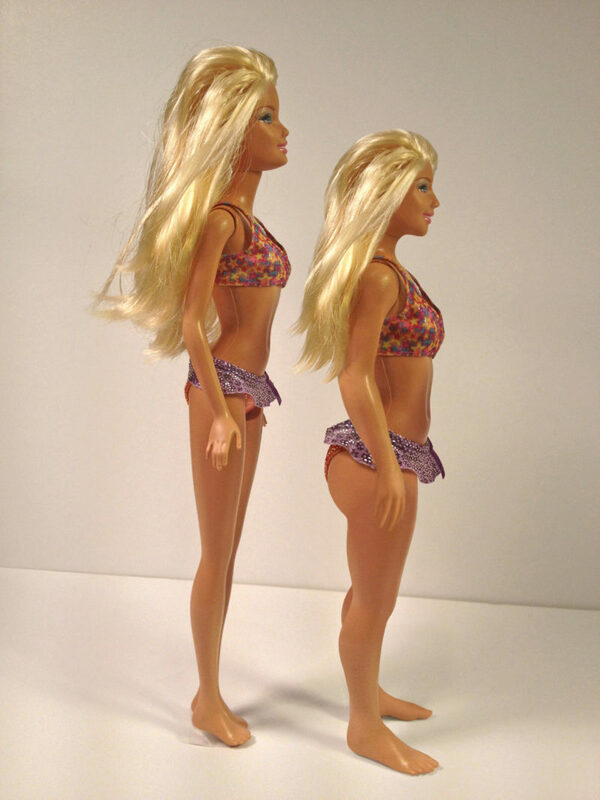 After these “Normal Barbie” images went viral, I was flooded with requests asking me where people can buy such a doll! Because these were just Photoshopped images and not an actual doll, I decided to launch a crowdfunding. Because a crowdfunding requires a prototype and a physical prototype cost $10,000 (money I didn’t have), I did the next best thing and created a digital prototype by working with 3D artists Andrew Dormody, Marco Romero, and Thomas DesJardins. 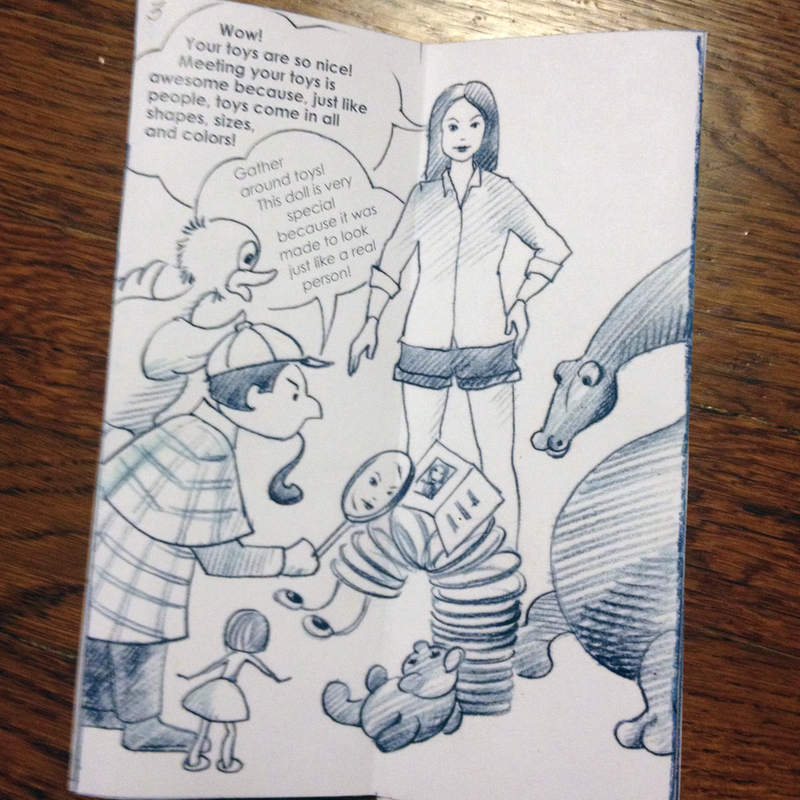 Below are early versions of the visual prototype. The final visual prototype is seen in the crowdfunding video below, which was released in March 2014. The crowdfunding ended up raising over $500,000 from over 13,500 backers! The crowdfunding was covered by USA Today, Time, Mashable, and more. I was supper happy that it went well and felt a huge amount of responsibility to deliver on time for all backers. Now it was time to make a physical prototype! Here is the moment I opened the very first physical prototype. 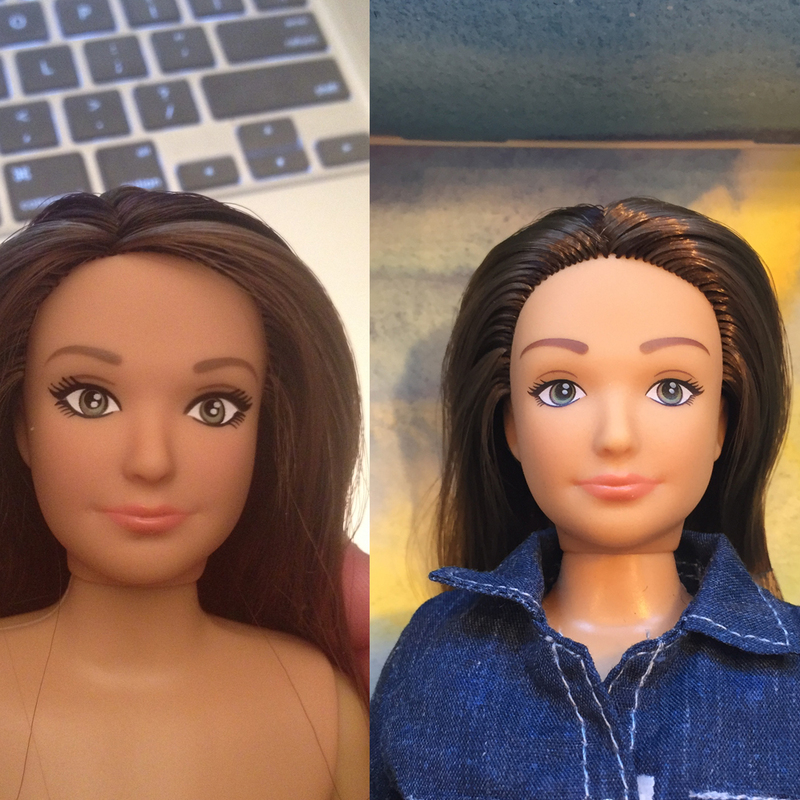 I was very nervous because toy industry “experts” told us that clothes would look very bulky on a realistically proportioned doll, but she looked great as a first attempt! My mom, Yelena Lamm, repainted the face of the physical prototype, the result is below. Before the packaging was made, the doll needed a backstory! We initially chose to have a Toy Story like backstory. We decided against this story in favor of a more simple “Travel” story and theme. 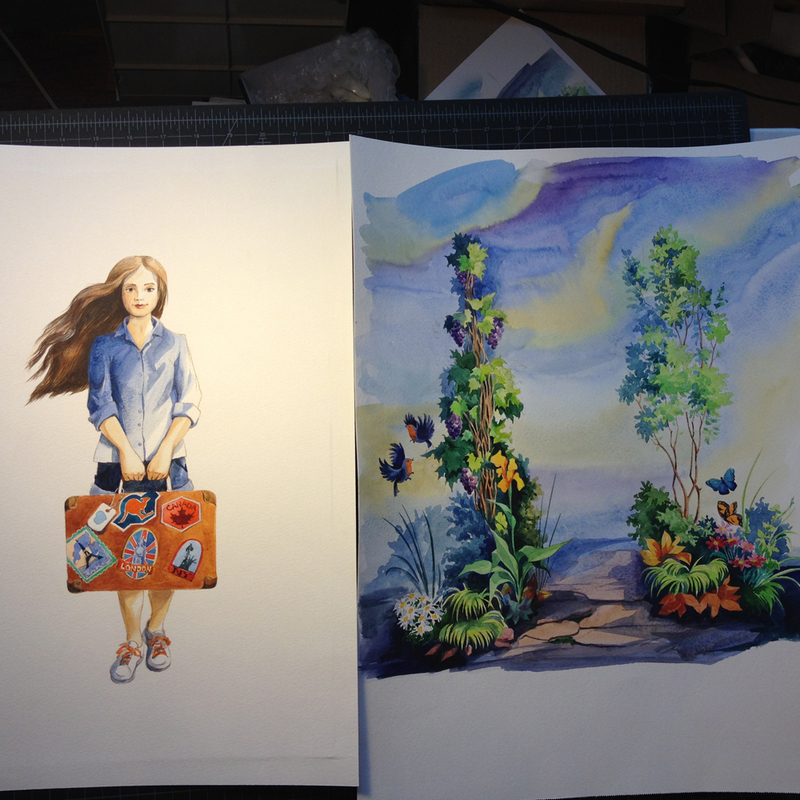 All packaging and illustrations were designed by my mom, Yelena Lamm. Things were really coming together in September 2014! The manufacturer sent us the doll on the left. But it had too much makeup. For your reference, on the right is the FINAL production doll we received a couple months later. 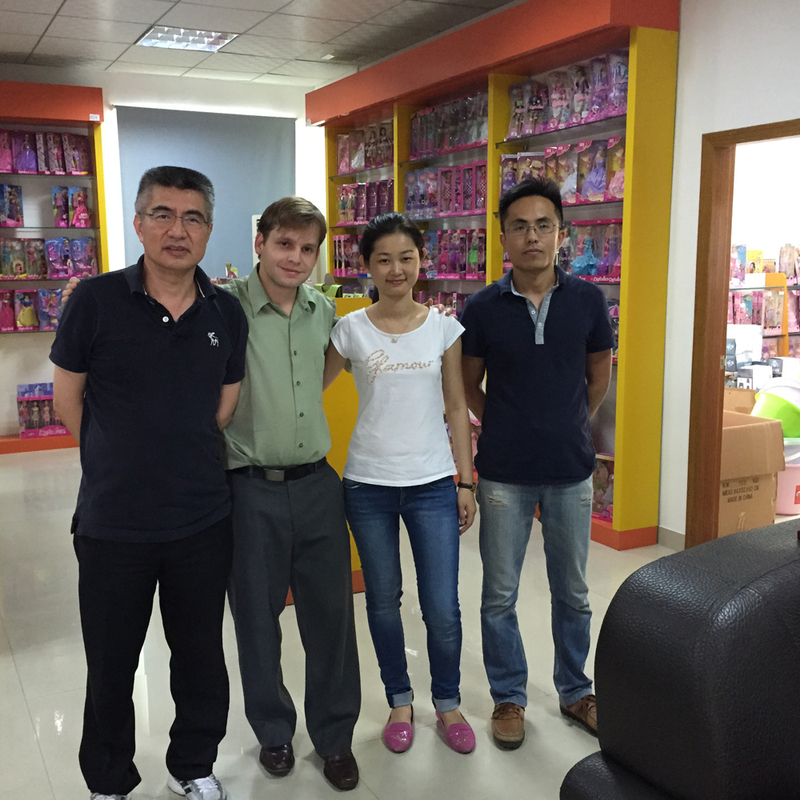 With me is the manufacturing team which made it all happen. During our factory trip in October I sent the manufacturer dozens of emails like this, which showed issues which they corrected. 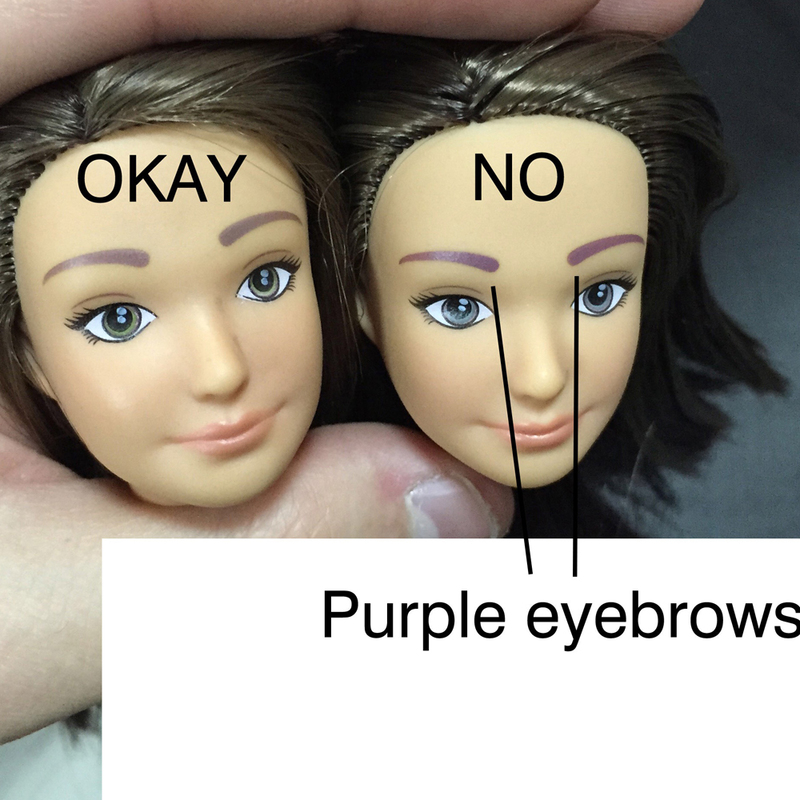 In this photo we showed how the faces needed to have the eyebrows slightly raised and have a natural brown color. The video here shows how the manufacture makes the face printing! There were points in the manufacturing process which gave us some scares. The knees of the dolls would consistently break just 2 months before we were supposed to ship over 20,000 dolls!!! However, the manufacturer solved the issue by replacing the inner skeleton with a much stronger material. The video below shows them testing the new knees. Looking back on the release of the Traveler Lammily doll, it’s a miracle that we were able to design a doll from scratch and deliver it on time for Christmas, in a span of 7 months. After the dolls were released in November 2014, in a launch which was covered by CNN, Time, ABC, and more, our goal was to build a sustainable business beyond huge product launches. 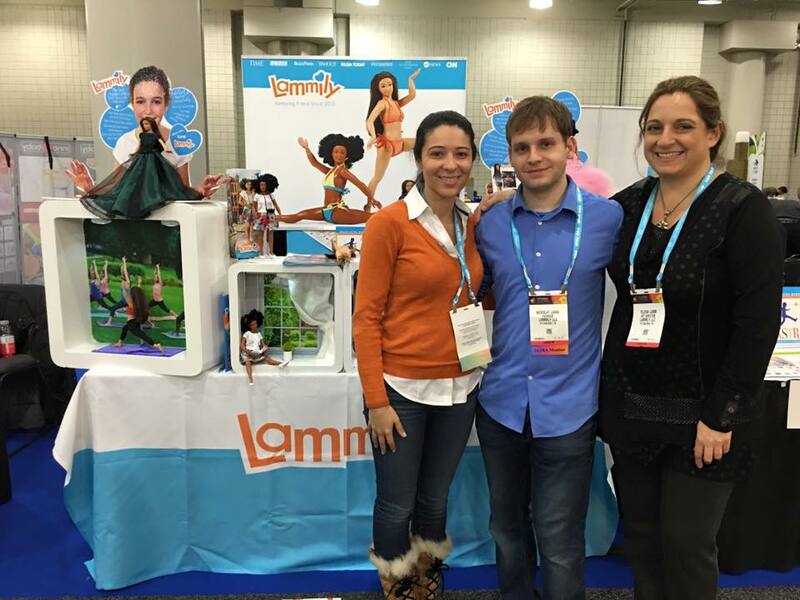 Here’s us at our very first Toy Fair in New York City. Eleni is on the left and Yelena, my mom, is on the right. We filmed a commercial made for TV in Florida. We also tested a mall cart in New Jersey. We’ve found that online is our best marketing channel and we’ve been focusing on that ever since! Without Yelena Lamm, my mom, and Eleni and Lezlie, who have handled all customer support and everything in between, Lammily would not be where it is today. What an inspiring story, the pictures and videos are fabulous! I’m going to email this to share with friends. Thank you for all you do to inspire young girl to love themselves just the way they are.